Arlington, Va., May 7, 2013 – The Consumer Electronics Association (CEA)®, owner and producer of the International CES®, today announced the results of an independent audit that confirmed a record number of international industry professionals – 36,206 – from 150 countries attended the 2013 International CES®. Serving as the launchpad for technology innovation and the world’s best venue to witness the entire consumer technology ecosystem, the 2013 CES featured 3,282 exhibitors from around the globe and a record number of startup companies, including the 150 exhibitors in Eureka Park. The independent audit, performed by Veris Consulting, LLC, confirms CES’ status as the world’s leading innovation event as showcased in this CES video. The 2013 CES, held January 8-11, 2013, in Las Vegas, spanned more than 1.92 million net square feet of exhibit space and welcomed 152,759 industry professionals. Additional highlights of the 2013 CES Veris audit included: record attendance at the 2013 CES conference program, increases in several major attendee categories, including advertising executives, CMOs and retail buyers, a record number of automotive and digital health/fitness exhibitors. The International CES provides an unparalleled networking and business experience for senior-level executives and top decision markers. The Veris audit confirms that 43 percent of 2013 CES attendees are senior-level executives. Presidents, CEOs and/or business owners made up 15 percent of attendees at the 2013 CES. Nearly one-third of all attendees are the final decision makers when it comes to new product purchases or partnerships with other companies, with 84 percent identified as having buying decision influence. More than 11,000 attendees represented companies with more than $500 million in total annual sales. The Veris audit also confirms that CES is where global leaders from diverse business areas go to do business. More than 13,000 retail buying organizations, 8,000 manufacturers and nearly 6,000 engineering/research & development companies came to the 2013 CES. Additionally, more than 32,000 professionals from the content development and entertainment industry were in attendance, as part of the Entertainment Matters program, providing entertainment executives the chance to experience the latest devices, technologies and platforms that will broadcast content to the consumer. Top government officials attended the 2013 CES to learn how the latest technologies will impact the future. The show brought together more than 140 government officials from the U.S., including 12 members of the United States Senate and House of Representatives, six state elected officials and five members of the Federal Communications Commission. Representatives from the Federal Trade Commission, the Environmental Protection Agency, the National Highway Traffic Safety Administration, the U.S. Department of Commerce and the U.S. Department of Energy were also in attendance. Veris is certified by the Exhibition and Event Industry Audit Commission (EEIAC) to perform audits. As part of the Veris audit, each CES attendee is counted only once, and show size is calculated using only exhibit space sold, not hallways or bartered space. The CES audit provides absolute verification of exhibition records, including direct on-site observation, examination of registration systems and testing of attendee records. Post-show analysis included direct confirmation sampling, reconciliation of attendance lists, elimination of duplicate names, and verification of demographic data with the source of documentation. Final audit numbers may differ from preliminary estimates given onsite due to additional badge pick-ups and badge reader reports. This audit complies with the industry standards for audits adopted by both the EEIAC and the International Association of Exhibition and Events (IAEE). Full audit results can be found here. 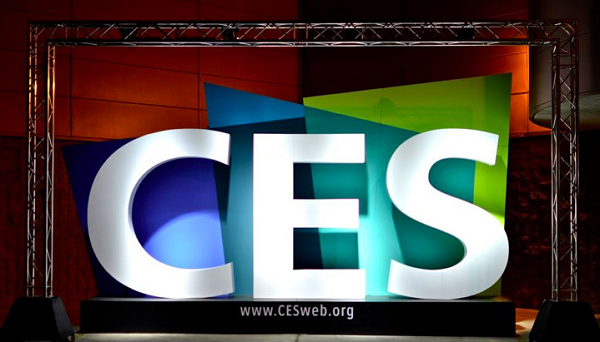 The 2014 International CES is scheduled for January 7-10, 2014, in Las Vegas. Next: Telemedicine Robotics: Will they be worth it?